Inspiration can be such a fickle friend. Look too hard and she flees. Sit around waiting and you fall asleep, snoozing through the precious day. A curious mind and an open heart make for pure magic. So does getting outside of your head and breaking free of routine (although I swear by it most days). When I am lucky enough to get away, inspiration dances around me and laughs without fear. These days when a long weekend pops up, I inevitably turn to my husband and say, "Let's go to Grand Marais!" If you have never been, Minnesota's North Shore is the place that daydreams are made of. I may be biased as I was raised on annual trips to Michigan's upper peninsula (affectionately known as the UP) and schooled on the big lake's healing powers and awe-inspiring natural beauty. Inspiration always tags along when I head north. 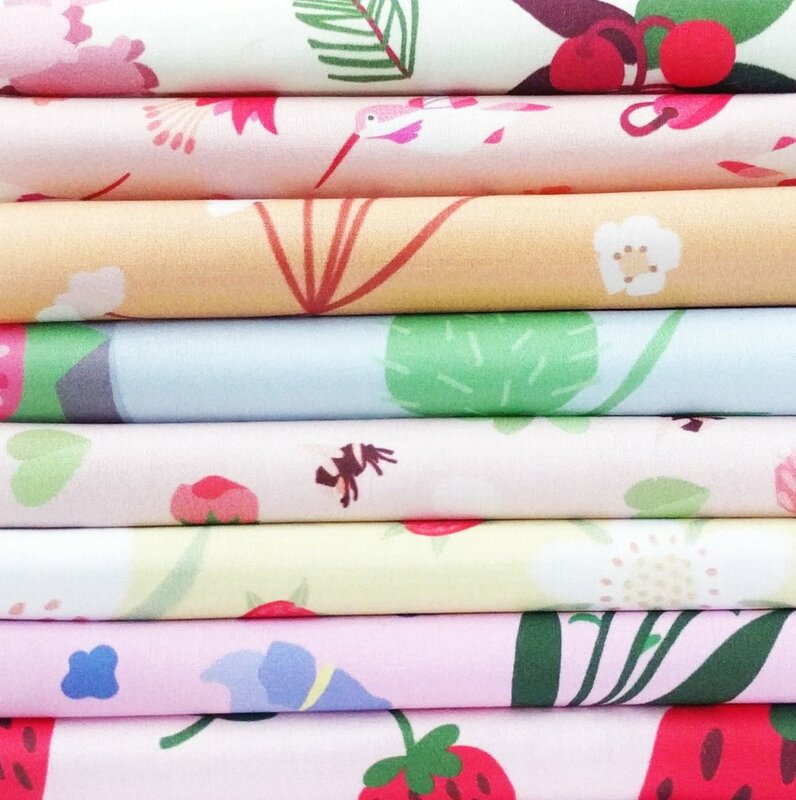 The latest fruit to come from these adventures is my Minnesota Wildflower pattern collection. I thought I would share some favorite Grand Marais spots for you inspiration-seeking travelers as well as a bit about my fabric design project. Pincushion Trails Inn - Just up the hill from town you will find this charming bed and breakfast with wonderfully kind and helpful hosts Bob and Marlys. The inn sits directly upon hiking and skiing trails. It was walking these green paths at the height of summer where I found myself kneeling down in awe to inspect every brightly colored wildflower bud and bloom. We have been back to enjoy the winter weather as well, borrowing snowshoes to explore the Lake Superior Hiking Trail and taking full advantage of the sauna after time in the cold. My favorite room is the Pine Suite (above, right). It has a gorgeous view of the lake and forest and a writing (or sketching) desk. The common areas of the inn are warm and inviting and the breakfasts are absolutely delightful! The North House Folk School - Upon entering town, right on the shore of Lake Superior you will see this little adorable little yellow building (above). It houses The North House Folk School office and store filled with books, art, and supplies. For over twenty years, the school has offered a vast array of courses on traditional northern crafts. From basket-making, bee-keeping, and canoe construction to birding, blacksmithing, celestial navigation, sailing, mending, pastries, and more - it is hard to keep from moving right in and taking every single class offered! The emphasis is on learning for the sake of learning rather than to earn credit or pass an exam (how refreshing!). I had the pleasure of taking a course on cooking local grains with Minnesota chef and author Beth Dooley last fall. I highly recommend signing up for a class or even just stopping by to explore the beautiful grounds and say hi to the friendly staff. You can browse upcoming courses here. Pro tip: If you do sign up, oftentimes you can receive a reduced rate on local lodging as a North House student. World's Best Donuts / Drury Lane Books - Mere feet away from one another on Wisconsin Street are two of my absolute favorite Grand Marais stops: donuts and books. World's Best Donuts has been family-owned and operated since 1969. While I can't actually vouch that these are indeed the best donuts in the entire world, how can you not enjoy a delicious treat amidst such a gutsy claim? Mark your calendars for May 23rd - the 2018 season opening day. Only 88 days to go! It is probably wise to finish eating your donuts before browsing the books at Drury Lane so as not to cause a sticky sprinkled mess. Or do books then donuts. Just a thought. Regardless, a few steps from the donut shop you will find the independent bookstore with a view. The shop is cozy and filled with a great selection of reading material of all kinds. I don't think I have ever left Drury Lane without at least one book in hand. If you manage, let me know. I will be impressed! The North Shore / Minnesota Wildflower Pattern Collection - So, it was a summer walk through the wildflower-studded land behind the Pincushion Trails Inn and this book on the plant life of northern Minnesota's boundary waters that inspired a collection of eight boldly colored patterns (you can see them all here). To come up with the designs, I combed through the wide variety of colors, textures, and other characteristics offered by Minnesota's many wildflowers. I chose species that ignited my interest in form, color, or other surprising characteristics. I made lots of sketches and refined ideas, choosing only my favorite imagery to incorporate in the final designs. It had been on my bucket list for a long time to create a collection of patterns meant for fabric and so I took a lot of pride in the accomplishment of this goal. I also learned a lot along the way. I didn't know that hummingbirds are the only pollinators of the columbine flower. That harebells were a symbol of devotion in Victorian times. I found out that bull thistle is an invasive species, but goldfinches build nests from its mature down and American quilters used it in their craft as well. Native Americans make tea with wintergreen as a treatment for rheumatism. Caraway carries the seeds used to give rye bread its distinct flavor. While this information was all interesting, I think what inspired me most was the surprise of finding the flowers. They weren't always obvious in a sea of green and - real talk - the swarm of summer mosquitos around my head. When I landed upon a delicate pop of color contrasting so boldly with its surroundings I couldn't help but stop, kneel down, and take a closer look. They were begging me to pay attention; to be in the moment, bugs and all. That is life though, right? A beautiful pop of color over here with simultaneous buzzing around our heads. How can we manage to find sustained enjoyment from the smallest moments of joy while managing our reactions to the inevitable friction of daily life? Where do you feel most inspired? Is there a certain place you can go to find it?